Bench method allows you to connect the ECU using the universal cable. You don&apos;t have to open the ECU. Some ECUs do not have a BOSCH port. They can not be read using the ATP050 probe. Therefore, it is necessary to use the universal cable and the universal box in order to read this kind of ECU. The universal cable must be connected on one side to the various connectors of the ECU according to the wiring diagram (available in help) and on the other side to the "BOOT" connector of the Autotuner tool. The universal box simplifies connections with the computer. Thanks to the universal box, you can use a testprobe to establish the connection. It is not necessary to solder a wire. 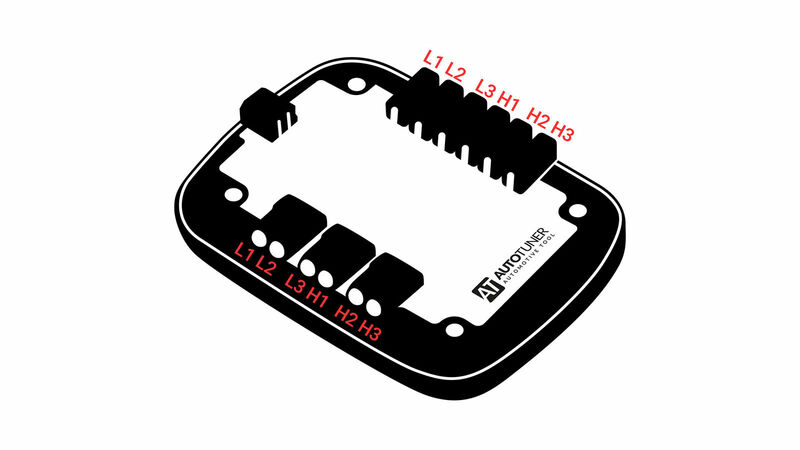 The different connectors to which you have to connect the universal cable differ depending on the ECU. For each ECU, the connectors are illustrated in the help interface. PWD1 is the brown cable of the universal cable. PWD2 is the dark blue cable of the universal cable.